Mrs. Gephart joined Immaculate Conception Cathedral School in 2010 as Lower and Middle School principal. She assumed leadership of the entire campus in June 2018 and heads the coed Pre-K through 8th-grade Lower and Middle School as well as the all-girl 9th-12th grade Upper School. 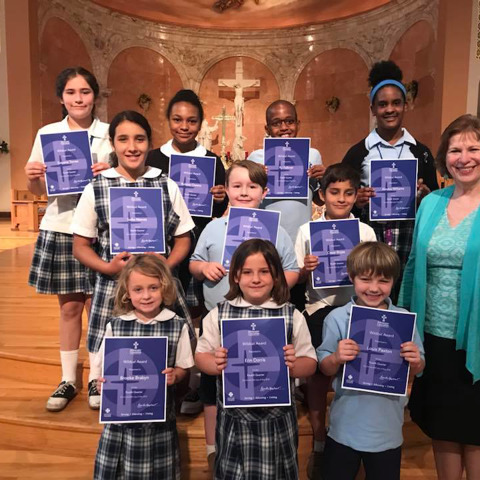 Under her leadership, the popular Spanish intensive curriculum was implemented in 2010 in the Lower School; she initiated the enrichment program that same year in the Lower and Middle school. In 2011, she established ICCS's Extended School Program, an after-school program that provides tutoring and special activities for ICCS preschool through Middle School students. Also under her direction, ICCS is one of two Memphis-area schools to incorporate mindfulness classes into its curriculum, a practice that helps students develop self-awareness, self-control, concentration skills, and empathy. Prior to joining ICCS, she served as Head of District Orff Music Instruction at Memphis City Schools, where she directed Orff-method curriculum for 150 elementary school teachers. A former 20-year music teacher at Snowden Elementary School, Mrs. Gephart is well-known for her expertise in the Orff method and is a 2009 recipient of the State of Tennessee Administrative Award. She holds a Bachelor of Science degree in music education from Bowling Green State University, Master of Music degree from the University of Memphis, and a Licensure in Administration and Supervision from the University of Memphis. She has completed Levels I through III and Master Class Orff-Schulwerk Training at the University of Memphis. She and her husband Ron have two children, Julia and Alex, both ICCS graduates. The Gepharts have been IC Cathedral parish members for 16 years.